Canada Second-Best Country For Immigrants: Survey (Audio) - Canada Immigration and Visa Information. Canadian Immigration Services and Free Online Evaluation. June 11, 2017 – Canada is the second best country in the world to be an immigrant, according to a new study by the U.S. News and World Report. Sweden topped the list, compiled using factors such as economic stability, income equality and job market. A survey also targeted 21,000 people ranging from high-powered business elites and members of the public. Countries were ranked in nine broad categories based on the results, with Canada coming out on top for ‘Quality of Life’. Factors including the job market, safety and well-developed public health and education systems all played into the strong score. Canada’s second strongest category was ‘Citizenship’, where it scored maximum points for being trustworthy, respecting property rights, on religious freedom and human rights. Elsewhere, the federal government will be happy to see how highly the country scored in business categories. Under both ‘Entrepreneurship’ and ‘Open for Business’, Canada ranked as the seventh best country, scoring highly for infrastructure, educated population, being internationally connected and having a robust legal framework. Transparent government practices were also a key driving factor. 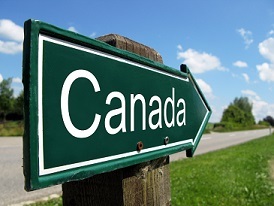 With anti-immigration sentiment rising in the U.S. as Donald Trump’s presidency matures, Canada has positioned itself to pick up the slack as the administration clamps down on some of the most popular programs south of the border. Canada has launched a number of immigration initiatives recently as it looks to welcome 300,000 newcomers in 2017, a modern-era record. The country’s cutting edge Express Entry selection system has been tweaked twice in the last six months, most recently introducing points for siblings and French language, factors the government feels will lead to quicker integration of new immigrants. At the end of 2016, points were also added for international graduates from Canadian universities, while those available for a qualified job offer were reduced to give more weight to core factors such as education and experience. Even more significant has been the introduction of two-week Canada visa processing under the Global Talent Stream. The best and brightest candidates can now enter the country via one of the quickest visa-awarding programs in the world.